Back in the 1980’s, cosplay happened once a year and it was called Halloween. Now it’s a lifestyle choice for many a geek, nerd, and professional sports fan who show up wherever dressed as their favorite baseball players. Tested—a site with contributors including Jamie and Adam from Mythbusters alongside Norman Chan and others—recently revealed an interesting look at how they created a most impressive Rancor costume for this year’s San Diego Comic-Con. The Rancor was of course Jabba The Hutt’s prize pet to which the crime lord would routinely feed exotic dancers and wannabe Jedi Knights when he was displeased. The original Rancor as it appears in Return Of The Jedi was a rod puppet designed by Phil Tippett in 1982. According to an interview with Dennis Muren of ILM, George Lucas originally wanted a man in a suit for the giant monster, but it didn’t look quite right. Tippett designed the original Rancor maquette and through the use of split-screens, under cranking the camera, and good old puppeteering, an iconic Star Wars moment was born. 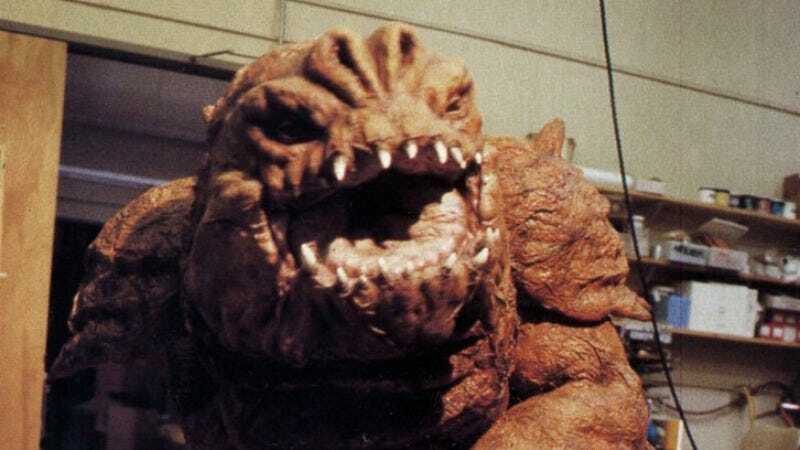 For Tested, Frank Ippolito constructed his very own Rancor costume by consulting Tippet and utilizing the special effects wizard’s notes, photographs, and designs for the project. The Tested team then took the Rancor out for a walk on the streets of San Diego where fans got to take a look at the finished product.